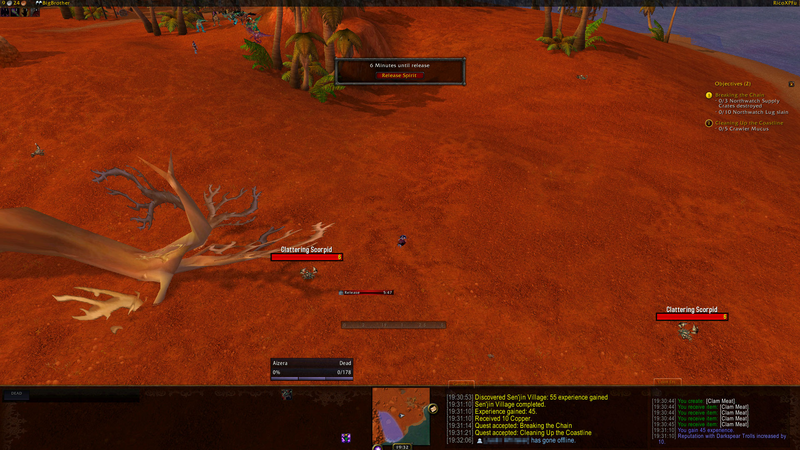 WoW: The Ironman Challenge « It's For My RP Spec! Right there, I already have a problem. Race and class are not an issue for me… although… I’m not interested in dwarves or gnomes whatsoever and if I were to wind up with a rogue, I could pretty much call it a fail now. Okay, maybe that part is hard. 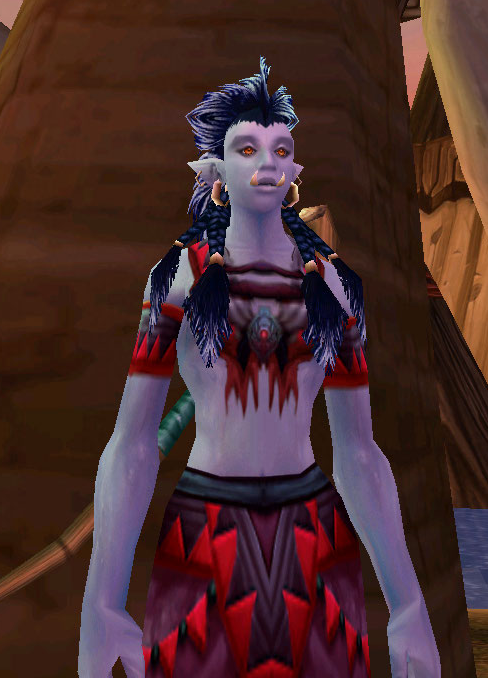 But having to randomize my characters look is where I will draw the line. Should I choose the undertake this, that part is right out the window. 1) No items equipped above “White” quality. This will be difficult from a survivability standpoint as well as a fashion standpoint. For one, the lack of stamina (regardless of class) will be murder. I’m trying to imagine doing anything above level 10 without even a little boost like that. Also, while many vendor items are stylish, BoP items offer so many other choices! 3) No talent points whatsoever (but trained abilities are allowed). This part is very interesting. 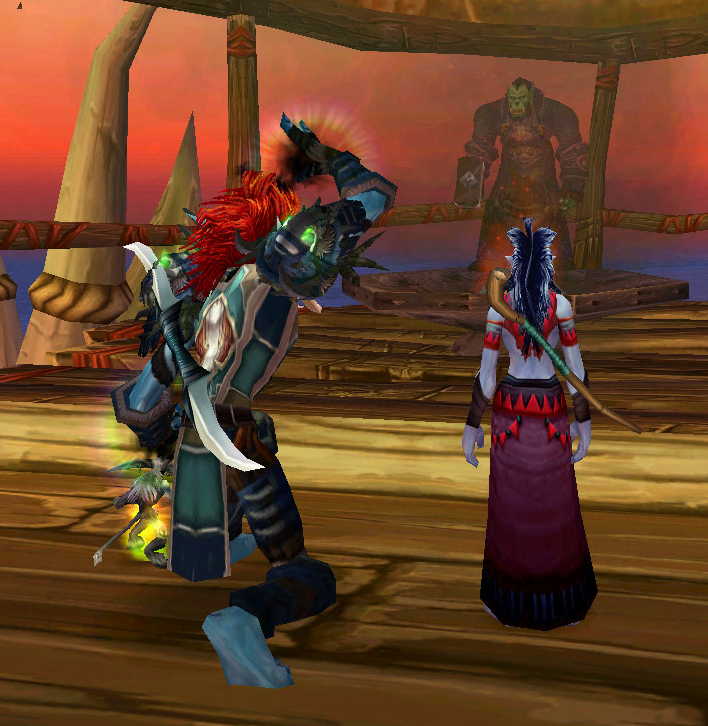 So I wouldn’t be a feral druid or a combat rogue or a frost mage, I would just be the class. That’s a neat idea. 5) No food or water above regular “White” quality vendor food. I have a funny idea about this one but it makes sense. A lack of buff food shouldn’t cause anyone pause. 6) No groups whatsoever, no guilds whatsoever. Oh that’s just mean. I love doing instances! Although… I can’t imagine having to explain why a level 20… or 50… or 70… was wearing all whites and wasn’t talented. Okay, yeah, that makes sense. I’m cheap, so I don’t usually glyph until 85 (except on healers), so no problem there. 8) No outside financial or equipment assistance. But but but my baaaaaagspaaaaaace!!!! 9) No do-overs… death means delete and reroll. And thus, Aizera was born, on and close-my-eyes-and-randomly-click-a-hopefully-nonpvp-server Winterhoof-US. … yes, I picked the cutefase. Don’t judge me. Off I went on my merry way, questing and killing boars and raptors. 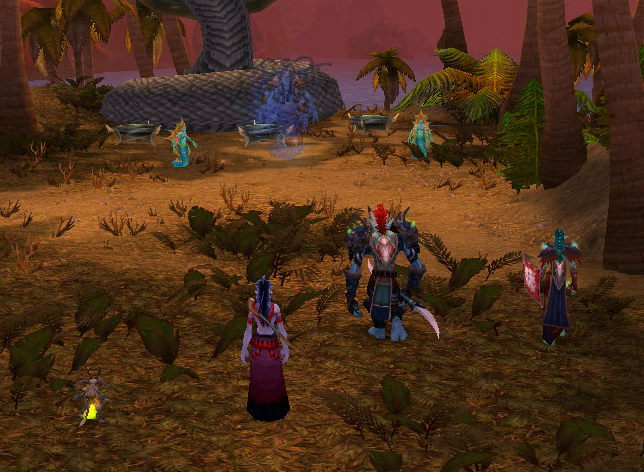 The quests on Darkspear Isle are pretty awesome. 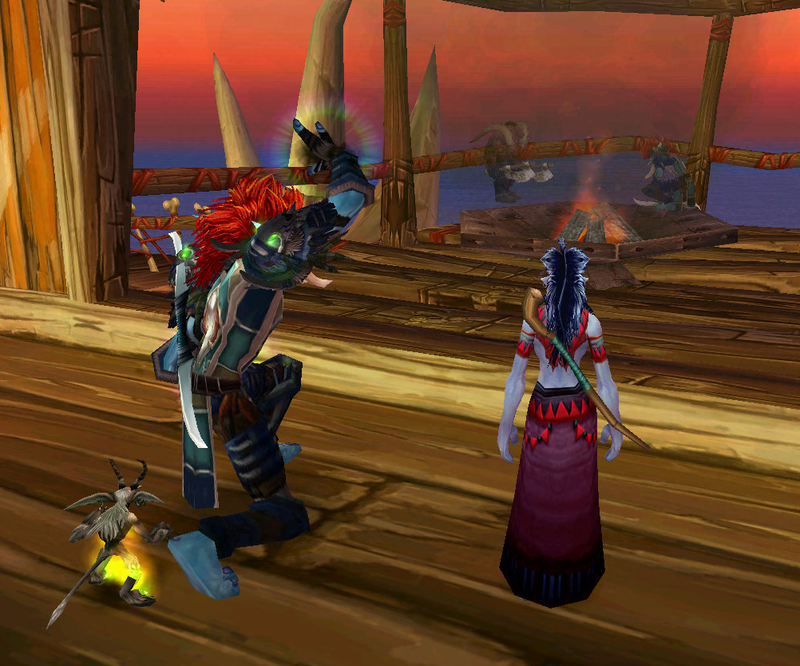 I tidied up some unfinished Darkspear business and headed over to Sen’jin Village. I felt safe in that I was a warlock and thus, had a pet. Two scorpids had a very different idea. I only made it to level 5. Oh well! I have learned my lesson… kill, not dodge. Dodging mobs will not work in this experiment. Until Aizera #2’s adventure begins, farewell!